Being convicted of DUI is a serious criminal offense. If you or a loved one has been arrested for a DUI in Owasso, you have found the right firm. Our Owasso DUI lawyer has the knowledge and experience to defend you and achieve the best possible case outcome, regardless of the severity of your DUI charge. The combination of drinking alcohol or using drugs and then driving in Oklahoma is known as Driving Under the Influence, hence the term DUI. Convictions for DUI can range from license suspension to jail or prison, depending on the factors, history of the accused, and other circumstances. If you or someone you care about has been charged, it’s never to early to seek representation from a qualified Owasso DUI lawyer. Our Tulsa Criminal Defense Lawyer knows how an arrest may be challenged and how, if possible, a suspension can be avoided. 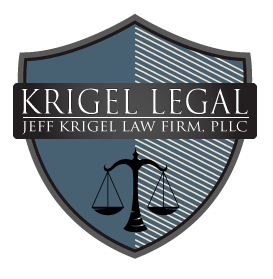 We can provide you with an aggressive defense against your Owasso DUI charges and are aware of the legal loopholes that can act in your favor. There are many complex issues that can surround a DUI arrest in Owasso. It is important to understand that by operating a motor vehicle within the state, you have given what is called “implied consent” to undergo test(s) for alcohol. The most common test is the breath test is a breath test which measures your BAC (blood alcohol content). If you refuse the test(s), your license will be administratively suspended. If you intend to challenge the suspension, you must do so immediately. You only have 15 days to request an administrative hearing. As you can see, it is imperative you act immediately. Any delay or neglect of a DUI can result in severe consequences that may be otherwise avoided. As with any criminal matter, it is advisable that you seek counsel from a qualified Owasso DUI Lawyer immediately. Our firm offers free consultations and payment plans are available.